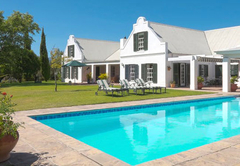 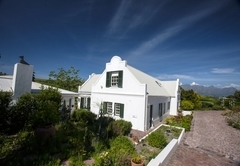 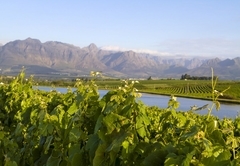 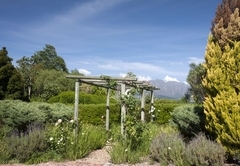 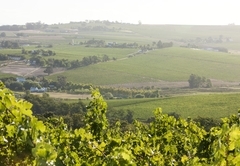 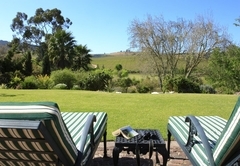 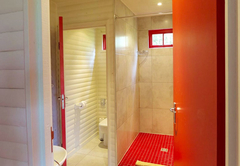 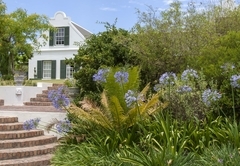 Sanddrif Guest Farm is a B&B with self catering option, providing accommodation in Stellenbosch for tourists visiting the Cape Winelands region. 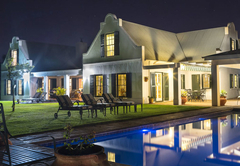 Privately owned and run by Charlotte and Ben ter Huurne, Sanddrif Guest Farm offers accommodation with unmatched hospitality and a charming country atmosphere - this is a ‘home away from home’ for guests. 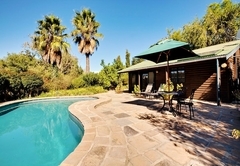 This charming Sanddrif Guest Farm offers two bed and breakfast units and three self catering units. 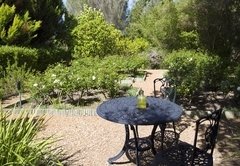 A generous breakfast is served in a unique and peaceful setting, either in the lovely garden or in the kitchen of the main house. 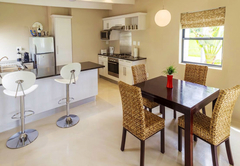 The combination of healthy, continental and English breakfast makes a perfect start for your day. 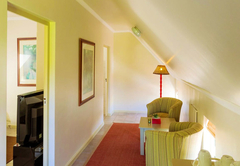 Our light and airy loft room is situated apart from the main house with private access via a flight of stairs. 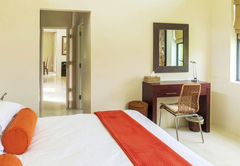 The pitch-roofed galley living area leads you into the separate bedroom, which has a King-size bed, sofa bed, dressing table and chair. 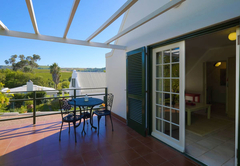 Walking in through the French patio doors takes you into the open plan room furnished with twin beds and a very comfortable sofa. 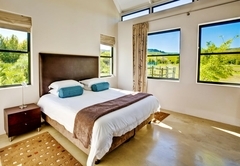 The twin beds can be converted to a King-size bed. 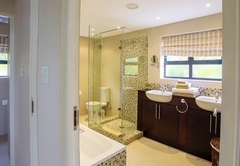 The bathroom has a shower and his and hers basins. 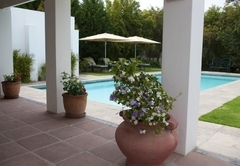 Outside, Pool Cottage has a covered veranda along the front with table and chairs, as well as loungers and exclusive private use of its swimming pool. 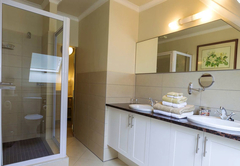 Our River Suites are beautifully designed, tastefully furnished and elegantly finished with features such as glass tiles and smoked glass showers. 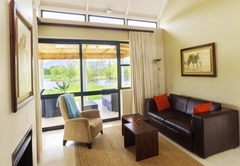 There are lots of large windows making our River Suites sunny and light and offering beautiful views. 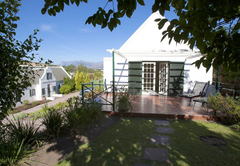 Our second, beautifully appointed River Suite is also a one bedroom apartment and adjoins Suite Agapanthus. 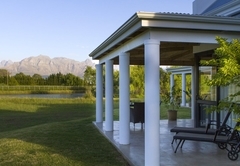 Apart from its views across the local vineyards and mountains, River Suite Strelitzia also overlooks a dam. 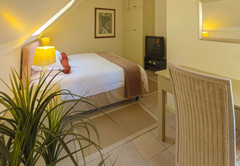 Our light and airy loft room is situated apart from the main house with private access via a flight of stairs. 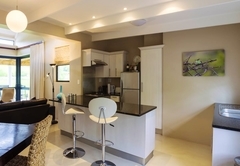 The pitch-roofed galley living area leads you into the separate bedroom, which has a king size bed, sofa bed, dressing table, and chair. 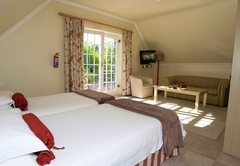 Walking in through the French patio doors takes you into the open plan room with twin beds and a very comfortable sofa. 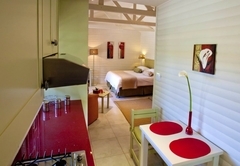 The twin beds can be converted to a king size bed. 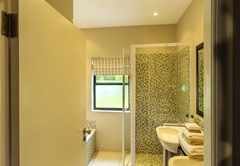 The bathroom has a shower and his and hers basins. 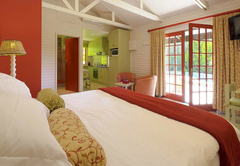 Our second, beautifully appointed River Suite is also a 1 bedroom apartment and adjoins Suite Agapanthus. 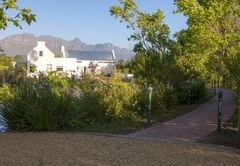 Apart from its views across the local vineyards and mountains, River Suite Strelitzia also overlooks a dam. 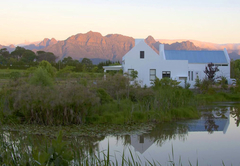 Response timeSanddrif Guest Farm typically responds to requests in 5-10 minutes.